Gynecomastia is a medical term that comes from the Greek words for "woman-like breasts." 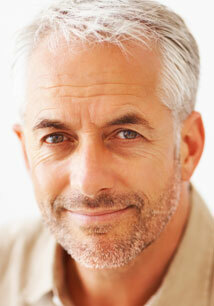 Although it is seldom talked about, this condition affects an estimated 40 to 60 percent of men. This often causes them to feel self-conscious about their appearance. The gynecomastia procedure removes fat and glandular tissue from the chest, and in extreme cases, removes excess skin—resulting in a chest that is flatter, firmer, and better contoured. This is an outpatient procedure that can be performed under general anesthesia. The surgery takes about an hour and a half to complete; however, some can take a little longer. After surgery there may be some swelling and bruising. Any discomfort is easily controlled with medication. It will take several weeks for all the swelling to subside. However, most patients return to work within a week of surgery. It may be several weeks if the job is strenuous or physically demanding. Once the healing process is complete, the patient is seen with a more masculine chest contour.